2018 is approaching and it will certainly bring some of the amazing changes in terms of SSL security, website rankings, SEO and other best practices related to online business like: e-commerce etc. So, have you heard about SSL certificates and their importance in the website rankings? Intrigued by the thought that what SSL certificates have to do with the website rankings and Google search engine results. Well, if you are thinking there is no connection except they provide encryption and security against hackings attacks to the websites, so you are mistaken, because – SSL/TLS have a search engine ranking impact and how the websites perform on the web, especially over search engines. Let’s get started with the basics where you will understand the niche of the terminology and the latter part of the article will take you to the importance of SSL certificates in 2018 and how they will help you in website rankings. What is SSL or TLS? TLS stands for Transport Layer Security or SSL stands for Secure Sockets Layer (SSL) is a standard encryption technology. Whereas, SSL contains asymmetric keys such as public keys and private keys. These keys further help to establish secure communications between the server and the browser and safeguard the confidentiality of the data. Since it was first developed by the Netscape in the early 1990s it has undergone many revisions and now has new cryptographic algorithms that offer strong encryption to the online businesses. 2018 will certainly look forward to a lot of websites trying to install SSL certificates and activates Padlock and https:// for their website security. What are the risks of not using SSL/TLS for your websites? Now, we know what these two terms are, so if we do not either of these we know what will happen to our online business or website. There is a serious vulnerability in SSL and TLS that are left unturned but the organizations are at risk of being breached with their data any point in time. So, to avoid such risks it is very important to have SSL/TLs and protect your business from the online theft and hacking. Without SSL/TLS, your organizations may be compromised and become an easy target for the hackers and cybercriminals. 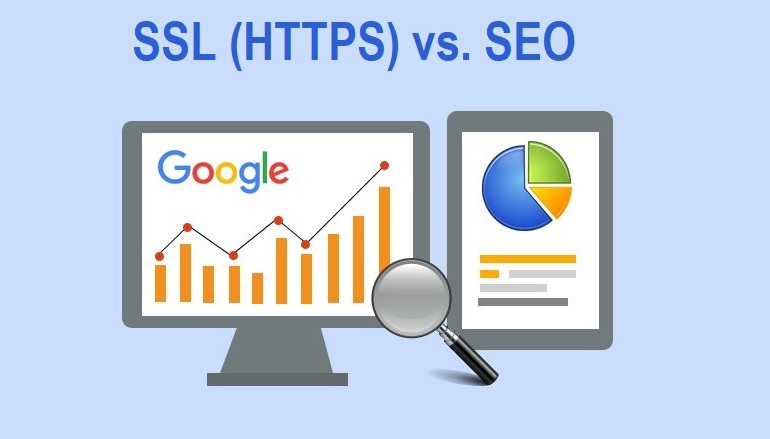 Google on moving to HTTPS and it becoming the more relevant search ranking factor as well as securing the websites with the right SSL certificate and https will give a boost to your website in the search results – this became a rage among the online users and businesses. Some felt finicky, some felt strange, few were disappointed, and few took it as learning and Google suggest use SSL certificate issued by trusted Certificate Authorities in order to protect visitors from sniffing or skimming. So, you can decide which type of SSL certificate is right to secure your Single domain, subdomain or multi-domain in order to set up HTTPS feature. There are mainly three types of SSL certificates based on validation methods such as domain validation, Organization Validation, and Extended Validation SSL. Ideally, you can buy low-cost domain-validated SSL certificate from various authorized resellers online. You can find different types of SSL certificates of trusted brands such as Comodo, GeoTrust, Symantec, RapidSSL, Thawte and GlobalSign at the cheapest price all over the internet for your websites, blogs, and stores. You can get Comodo SSL certificate at cost-effective price starts from $4.95/year only. SSL certificates allow you to enable a green padlock icon, HTTPS in the browser's address bar, with a site seal which helps in building their customer trust and eventually increase website traffic and conversion. All will lead to an improved website ranking on the search engines. In the year 2014 when Google announced that it will start using the HTTPS feature as a ranking signal, there was a much of hyped created among the online website owners. Later that year, Google started with a soft approach and started sending out a lighter version with fewer queries. It gave importance to high-quality content as well and encouraged safer internet and strong encryption to the websites. So, if Google has decided to make this as a crucial ranking factor than the unsecured sites can clearly see their ranking going down. The SSL Certificates give an extra layer of security to the websites and protect them from man-in-the-middle attack (MITM). They give an assurance of enhanced security and an added layer of secure connection for all your online transactions and financial transmissions on the web. HTTPS protocol helps to build the customer trust while they are putting their private information like – credit card details, login details, shipping address or any other personal information which is required while online shopping. Thus, one shall get SSL certificates installed on their e-commerce website in order to combat the security breach. We all know what kind of security the SSL certificates have to offer to the online businesses. Apart from the highest standard of security and strong encryption, they keep your website safe and secure from hackers. We have several stories from the big giants who have faced man-in-the-middle attack (MITM) from the cybercriminals and hackers. This has made many online consumers think twice about using their private information on the online websites. But when SSL Certificates are installed and when they display a green padlock sign and a site seal of trust in the browser bar then this proves all communications are secured and eventually it builds a trust to the customers. This confidence developed among the customers makes them visit your website and shop on it, eventually increasing conversions and sales. Trust is an incredibly important for online shoppers and this they get with SSL certificate and enabled HTTPS in their website URL which eventually has a lot of benefits in increasing rankings on Google search engines and improving website security. This year – 2018 make sure you follow such website security practices and directly improve user' experience as well as boost your website’s rankings.